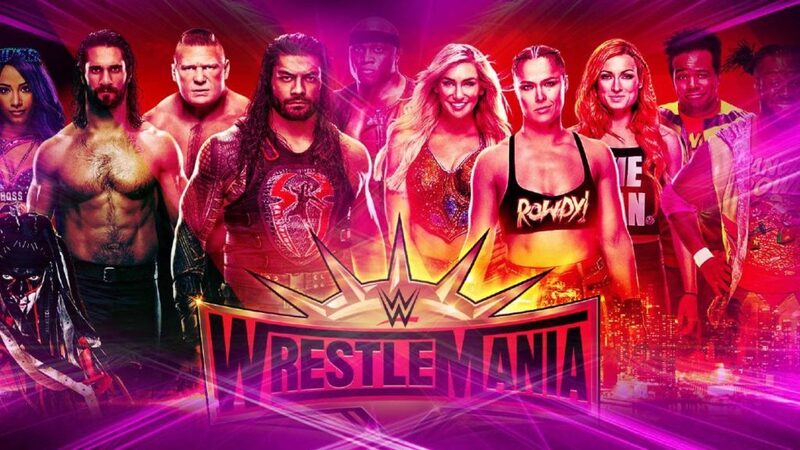 WrestleMania 35 is here and boy is it going to be a doozie! With a scheduled 16 matches, make sure to stock up on food, water and key essentials as you’ll be glued to your seat for over 6 hours (Kickoff Show included). 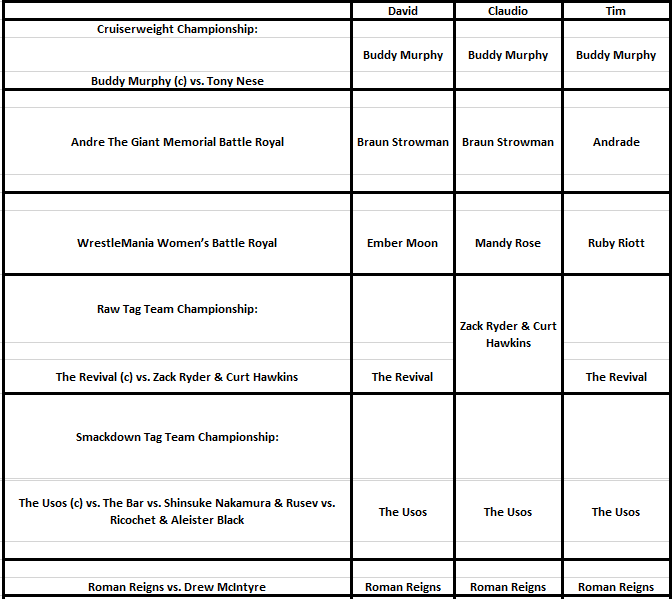 This year I can’t really say I’m overly excited for the entire event, but there are plenty of matches that if properly executed will create some shocking and memorable moments. I’m looking at you Kofi. 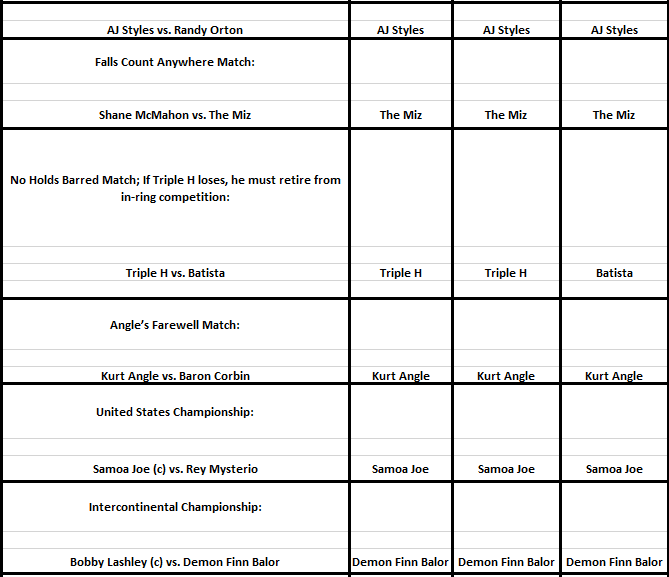 Now enough of my babbling, you have a whole ton of predictions to go through. 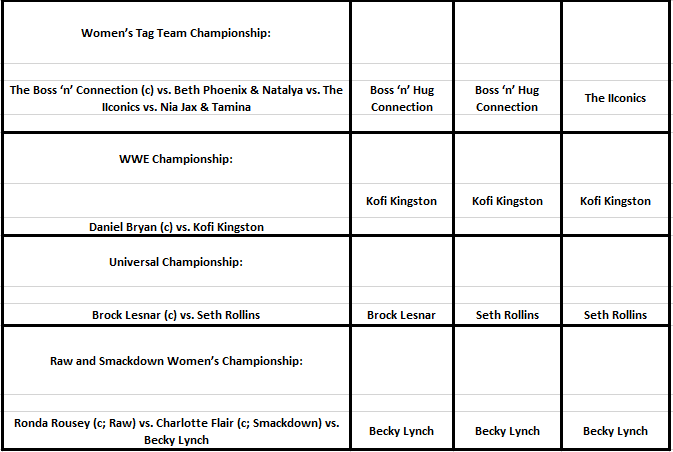 Take a look at our overall standings for the year and our KofiMania, I mean WrestleMania 35 predictions.